What is the most you have ever paid for a bottle of beer? I'd be interested to hear what people's most expensive bottle was (and was it worth it?). Mine was a ~$65 magnum of BFM Abbaye de Bon Chien Grand Cru, although considering they are now selling 375 ml bottles of it for ~$25 the price I paid was a steal. It is great that despite the poor economy, consumers are rewarding breweries who are willing to brew batches that are less more interesting, experimental, and even a little weird. While as a homebrewer most of my costs are for ingredients, fuel, and equipment, these really aren't the driving forces for commercial breweries when it comes to the more interesting batches. Breweries tend to be more focused on the time beers take to ferment and age in the tanks. A strong beer that takes six weeks before packaging needs to make as much profit as three batches of a beer that take two weeks to ferment (to make economic sense). Time is the biggest cost of sour and funky beer production, having the space in tanks or barrels to age them before packaging. However, there are a few breweries that are working hard to make interesting sour beers with aging times that are not that much longer than a standard batch of beer. Jolly Pumpkin leaves some of it beers in barrels for as little as two weeks for example. I talked to Chad Yakobson of Crooked Stave over the weekend, and he is doing a lot of interesting things with 100% Brett fermentations with his Wild Wild Brett series (can't wait to see what he does once he has his own space). If anyone hasn't seen it his presentation on Brett from the 2011 NHC it is well worth the hour (here are the slides, and the first of the videos). 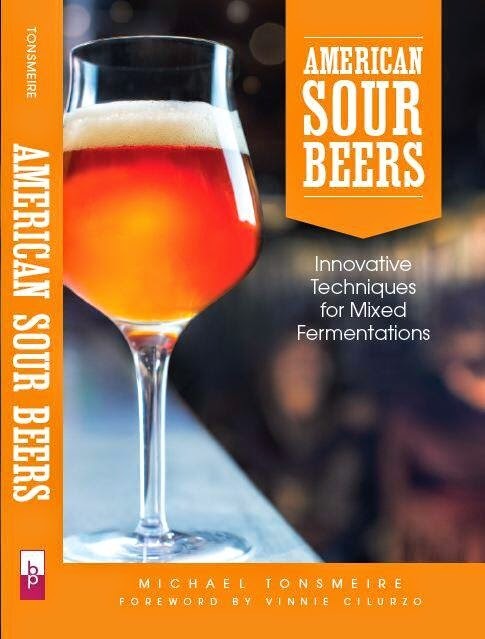 We are still early stages of the adaptation of the classic European methods to suit modern breweries and American tastes. I think there are going to be some amazing beers coming out in the next few years as brewers continue to learn and increase production. Sadly, I think we will also be seeing more top-shelf beers regularly pushing into the price category previously reserved for fine wines. The same way the 3 Fonteinen is releasing the Armand’4 season gueuzes, I suspect that more brewers will take their best batches, blends, or barrels and give them limited release packaging and big price tags. 2 different beers, $30 each. Alchemist Luscious (RIS), and Lawson's Maple Imperial Stout. http://www.almanacbeer.com/ourbeer/summer-2010/ ) went for ~$26 for 750ml bottles. Definitely worth it. Overall, $91 for a 3 liter bottle of Chimay Grand Reserve. It was definitely worth it, had a few friends over and cooked some steaks for dinner and we had a great time drinking down the bottle. As far as regular sized bottles, $55 for Black Tuesday 2010 and Bourbon County Rare, and both were worth it as they're both phenomenal beers. Just last week I paid about $60 for a bottle of '00 Fish Leviathan. Great beer! Paid $25 for a bomber of DeUS Brut des Flanders once and would again, if I could FIND it. Brewed by Bosteels in Belgium and then shipped to France for the whole Methode Champenoise schtick. The most I have paid since moving to the States was $25 for a wildly marked up Fuller's Vintage 2008 in Florida - I had only been here a matter of weeks and hadn't seen it anywhere else, you live, you learn. In relative terms though, I once bought a bottle of La Granja Stout by Norrebro when I lived in Prague for 385kc (Czech Crowns) - the equivalent of $17 at the time, given though that a pint was usually around 35kc I would say that was the most expensive bottle I have ever bought. This was compounded by seeing the same beer for sale in another regular haunt for 180kc. $40 for the Colorado Brewers Guild collaboration, Buddha Nuvo. $180 for a bottle of Sam Adams Utopias. Absolutely delicious beer. A very interesting topic indeed. Yesterday at the Brewbound Craft Beer Session the Bruery and Lost Abbey talked about the ultra premium beer category and if it could happen. Can they push beyond the $50 range to $100. I think with education it will happen. If people are foolish enough to spend $400 for screaming eagle the sky is the limit for beer. $150 AU for Brewdog's Zephyr,750mL; a Double IPA aged for about 2 years in wood with strawberries added. ~$150 for a 330ml Tactical Nuclear Penguin and ~$200 for Sink the Bismarck. Those two I split with two friends. All of them totally worth it and I'd probably do it again. Lots of interesting beers (only a few of which I’ve had), thanks for chiming in! I had heard that Lost Abbey Bruery thing as well. My problem with the ultra expensive beers, they tend to be more about hype than quality (Utopias excluded). The big difference with an expensive bottle of liquor is that you can drink it over months or years, most beers are a one shot deal. Sorry, some typos to fix. Armand has said that he will be releasing the seasonal offerings again in the future, but at a reasonable price. He only did the special release to raise money to restore the brewing area after his accident.